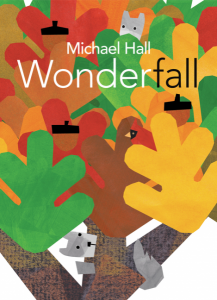 Here’s the first of several roundups full of great new Christmas books for kids that we hope you’ll enjoy. 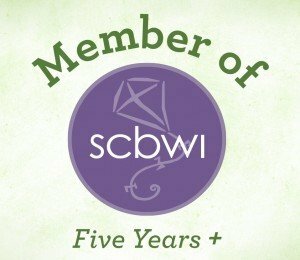 There’s really something here for everyone under age 10 who’s interested in a great story or activity during the long holiday break. Let us know which ones ended up being your family’s favorites. Merry Christmas! 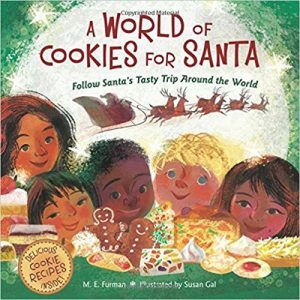 In A World of Cookies for Santa: Follow Santa’s Tasty Trip Around the World, Santa takes a journey across the globe to drop off gifts and savor treats children leave for him. The story begins appropriately on Christmas Island in the South Pacific where Santa finds the children’s gift of chewy coconut macaroons. 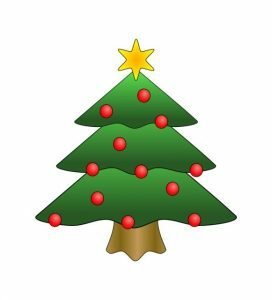 From Christmas Island, Santa visits Asia, Africa, Europe, South American and North America before heading home to the North Pole. Santa’s entire journey may be traced by using the map at the beginning of the book. 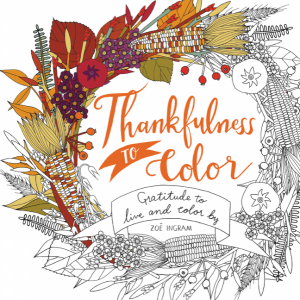 Splashes of orange and dashes of red flood the 48 pages and create warm cheery scenes. The joy of giving and receiving is vividly expressed on the faces of smiling children. Parents may stumble over a few foreign words, but there’s lots of opportunities for fun-learning. Furman provides recipes for baking Santa’s cookies which may inspire children and families to try new multicultural holiday recipes. Countries may have different Christmas customs, but they are similar in keeping the traditions of preparing and enjoying treats. 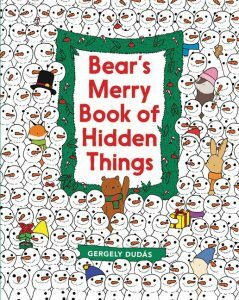 Growing up, I was always a fan of the “find the hidden objects” puzzles, so it’s no surprise that I love Bear’s Merry Book of Hidden Things even now as an adult. As the title suggests, the reader is invited to help bear find the items he needs for his upcoming holiday party. Children will enjoy the challenge of perusing through the crowd of cute critters, the jumble of gingerbread, and the sea of snowmen to get bear’s party going. The 32 pages of colorful confections, gift bags galore, and a multitude of mittens make a Christmasy camouflage that will keep the young ones engaged while they look for ice-skates, an ornament, and an array of other goodies. Some things are easier to spot than others so don’t be surprised if this turns into fun for the whole family. If you’re looking for something to keep the kids entertained while you’re planning a party of your own, Bear’s Merry Book of Hidden Things should do the trick. And don’t worry, this is not a one-and-done book either. Even after they’ve found everything for Bear, little ones will enjoy looking through the wintery scenes again and again to see what else they might have missed. Will this be the year your child learns the truth about Santa? You may want to hold off sharing this purposely green foil-banded book until your youngest is ready to have “that conversation” with you about whether or not Santa is real. 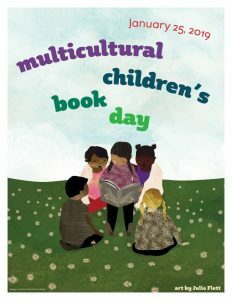 While Scholastic suggests that this picture book may be appropriate for children aged 5, another publication recommends it for ages 6-9 and still another says it’s for kids ages 9-12. To be honest, only a parent knows when their child will appreciate the heart felt message Brockenbrough so beautifully and thoughtfully conveys. The story is interactive in that a little girl does her annual correspondence to Santa and young readers can actually open an envelope, pull out the letter and then have it read to them or read it themselves. Naturally she’s curious about all things North Pole, until she turns eight. That’s when she leaves Santa’s note for her mother instead, inquiring whether she is actually the wondrous world traveler. Her mom’s response will no doubt resonate with all readers of a certain age. “Santa,” replies the mother, “is bigger than any one person. He always has been.” The message that the truth and tradition of Santa is carried on by all who cherish the magic of believing in something good and selfless is one that will touch everyone this Christmas. 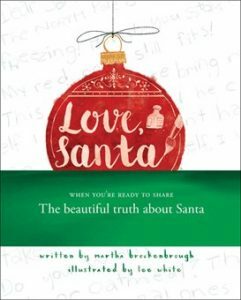 Certain to be treasured by all who receive it, Love, Santa is THE book to reach for whenever a child questions the existence of Mr. Claus. 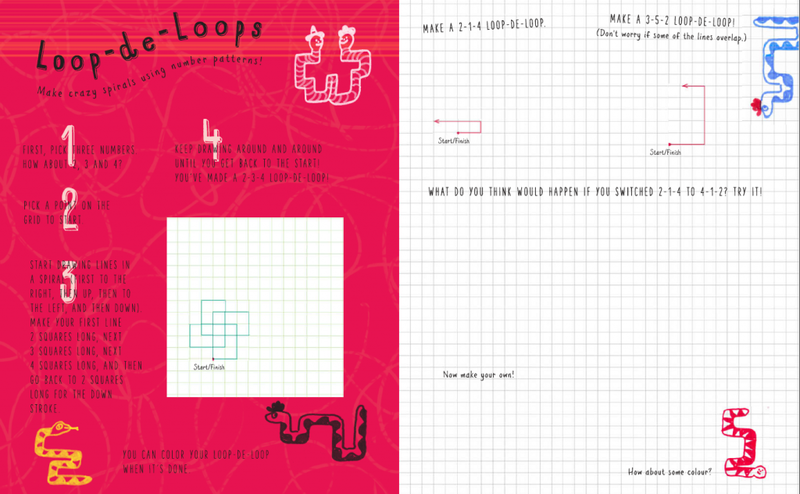 If you have a doodler, or a kid who likes geometrical shapes and patterns, then This is Not a Math Book is for you! There are over 30 fun and creative drawing activities that just so happen to have a subtle math spin. 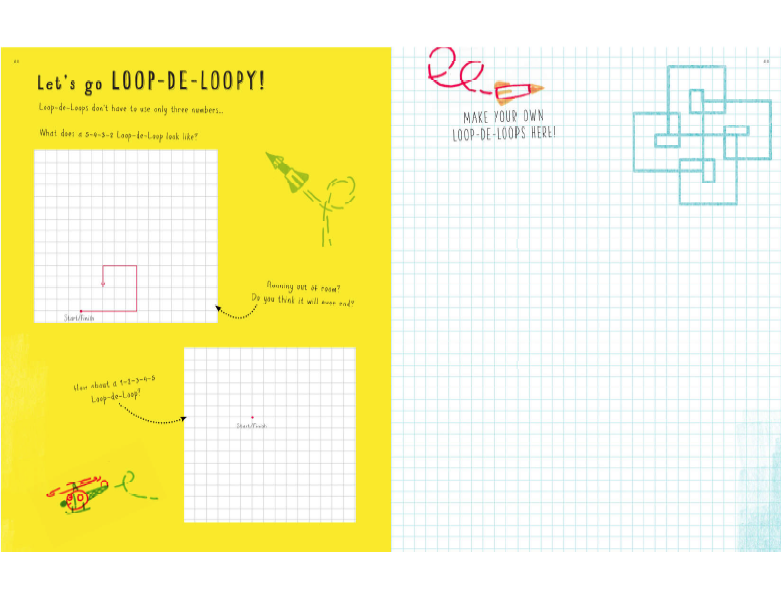 With a few drawing and math tools in tow, kids’ll be set to choose an activity. 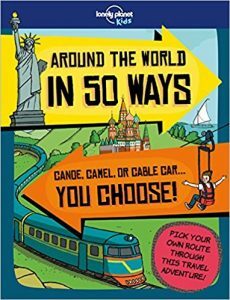 I can see this book coming in handy for the classroom or for homeschoolers. You can learn to make tessellations or fractals, and see how neat it is to create drawings with lots of circles and triangles. Interior artwork from This is Not a Math Book by Anna Weltman, Kane Miller Books ©2015. I decided to try my hand at a little tessellation and I really enjoyed inventing a creature to match my shape. This book makes math entertaining and gives ample creation decisions to the reader. 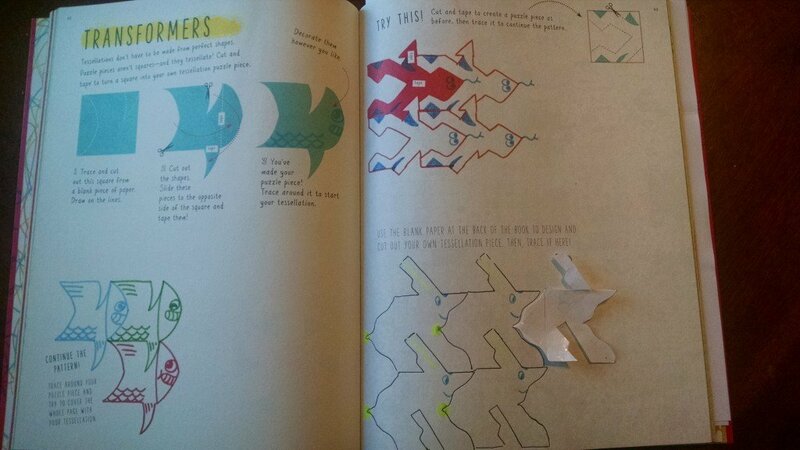 Sample of Transformers activity from Kane Miller Books’ This is Not a Math Book completed & photographed by reviewer Lucy Ravitch ©2015. Even as an adult I found the book fascinating. I also watched my kids spending a good amount of time on their creations, intent on making them just right. The instructions were easy to follow and could be used by most kids ages 8 and up. It’s helpful, too, that there’s a handy Table of Contents and Glossary if you’re looking for a particular activity. 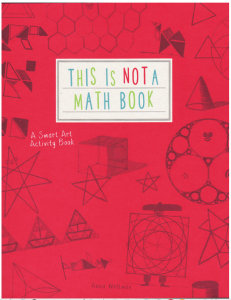 Kudos to Weltman for coming up with this unique, hands-on math/drawing activity book that is sure to be a hit with children and parents alike. 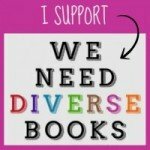 Lucy Ravitch is the blogger behind KidsMathTeacher.com and author of The Pancake Menu: What will you order? 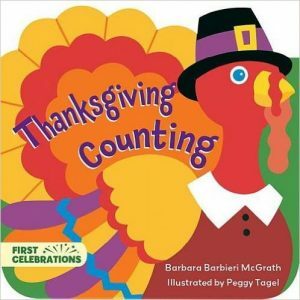 An interactive book that lets kids practice math as they play restaurant, with free printable order sheets and play money on KidsMenuBooks.com. Lucy loves everything that makes math fun, and enjoys crafting and cooking books as well. 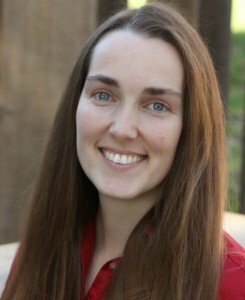 She has a degree in Elementary Education and lives in Southern California with her family and cute, crazy dog. The Big Book of Pick and Draw Activities compiled and illustrated by Rich Davis, (The Jolly Crocodile, $13.00, Ages 4 and up), is reviewed today by Cathy Ballou Mealey. The Big Book of Pick and Draw Activities compiled and illustrated by Rich Davis, The Jolly Crocodile. Rich Davis, a children’s book artist and illustrator, has devised a simple drawing game that is a clever, engaging way to unlock kids’ innate creativity. 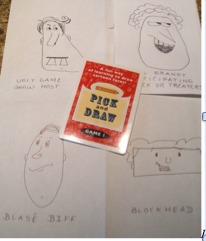 Using a deck of Pick and Draw cards ($10), pencils and paper, kids can compile unique characters with exaggerated and unusual features. These characters can provide the springboard for storytelling, writing, art and drama activities both in and out of the classroom. Plus, it’s just plain fun to draw and doodle! Artwork provided by reviewer was inspired by The Big Book of Pick and Draw Activities. I easily found willing young partners to play several rounds of Pick and Draw around the dining room table. To the right is a sample of our creations, and some of the crazy descriptive character names that they inspire. 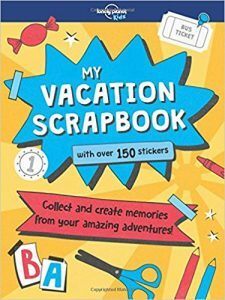 The Big Book of Pick and Draw Activities companion book features fifteen chapters written by experts and specialists in a variety of fields. 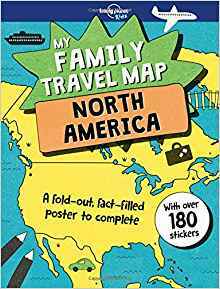 The helpful subject outlines offer good suggestions to incorporate drawing and storytelling activities with Pick and Draw for everything from geography lessons to illustrating English idioms. For readers seeking Christian content, there are chapters specifically geared toward Sunday school, vacation bible school, and other activities for church youth groups. 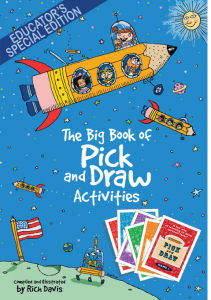 Davis has illustrated The Big Book of Pick and Draw Activities with over 200 fun, silly and playful cartoons that are a pleasure to pore over for broader inspiration. They punctuate the margins and headings with a lighthearted and delightful tone that will spark kids’ imaginations and tickle their funnybones. In addition, The Big Book of Pick and Draw Activities has just received the National Parenting Center Seal of Approval, awarded to products that help create better informed parents as they tackle the challenges and enjoy the many rewards of parenting.